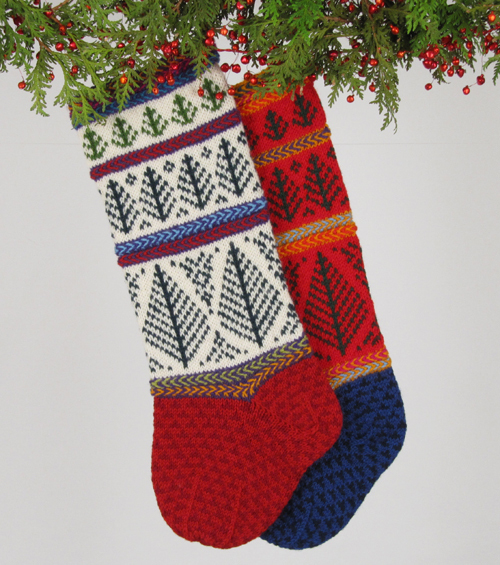 PATTERNS provide clear written instructions, along with color charts for each colorway, to knit a Christmas stocking in the round. 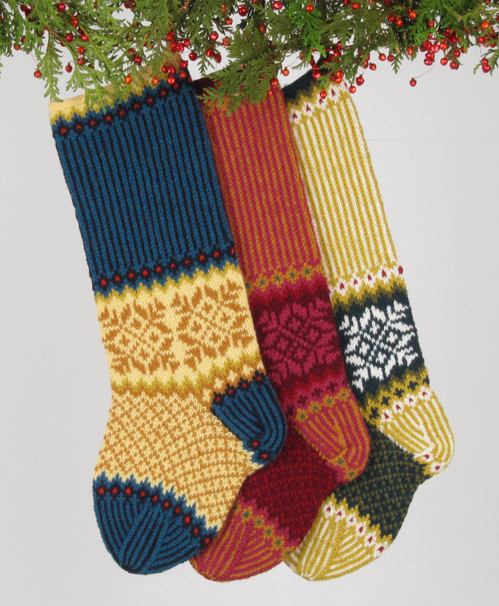 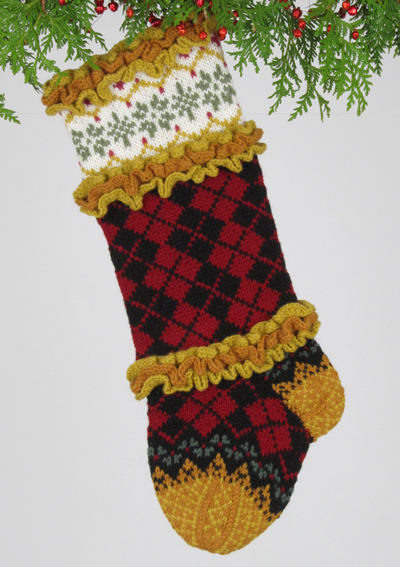 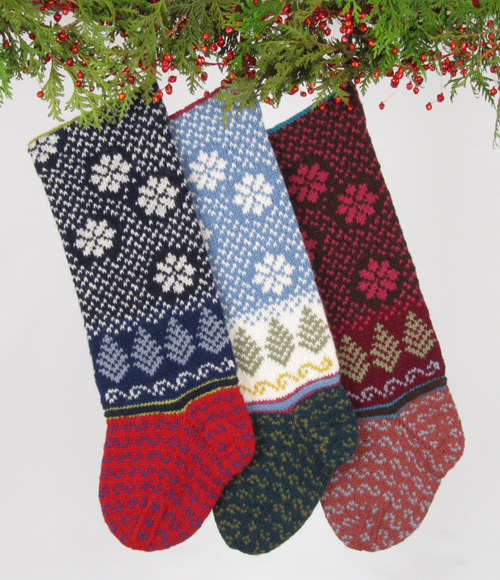 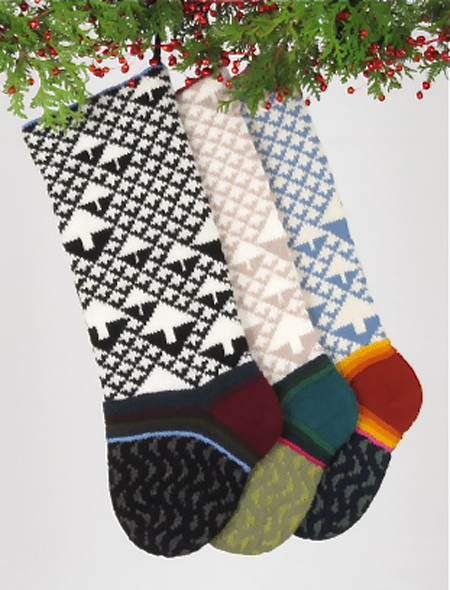 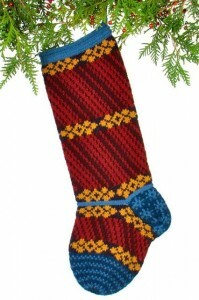 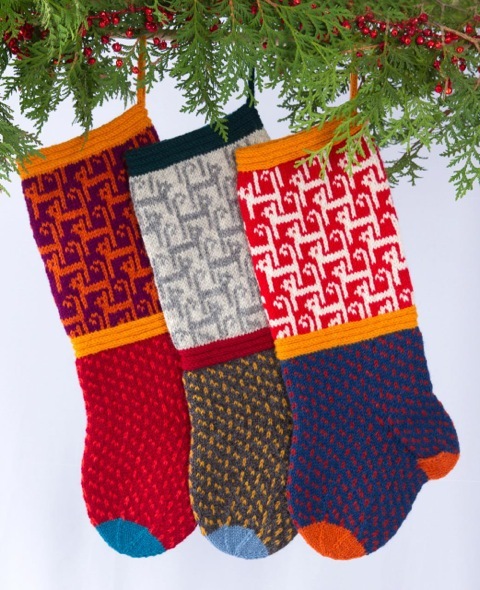 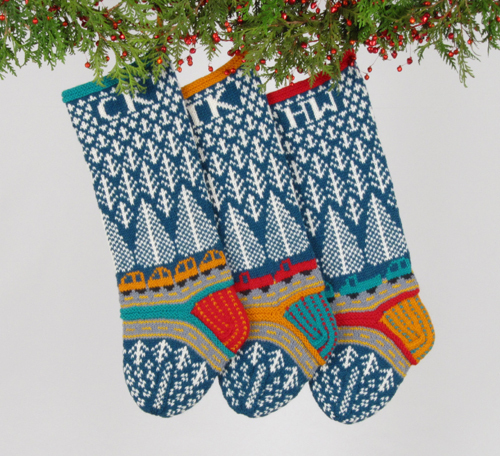 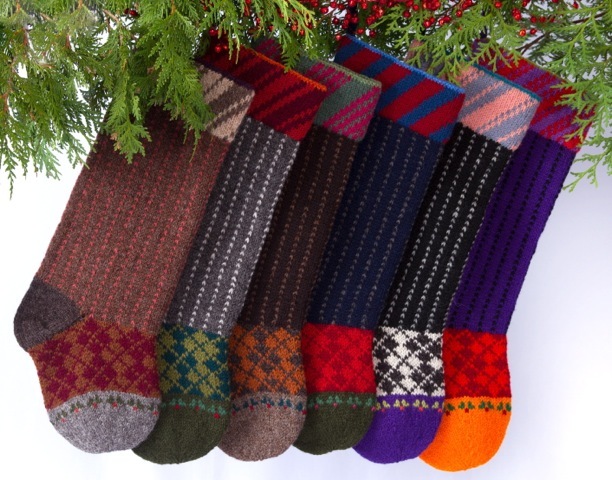 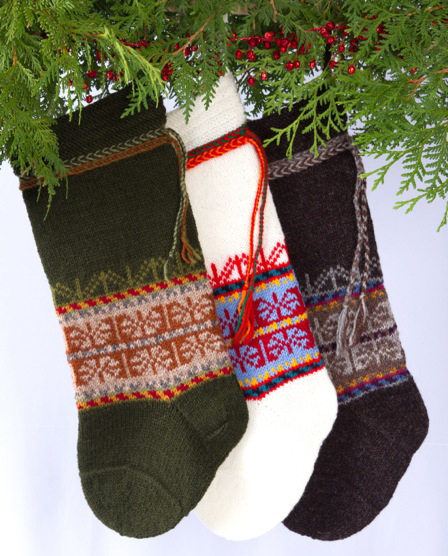 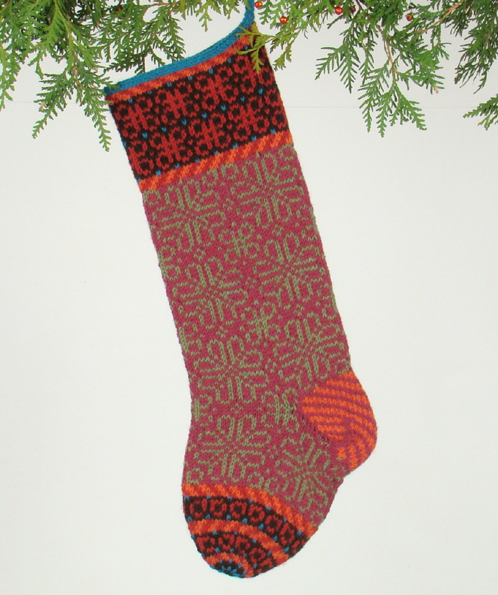 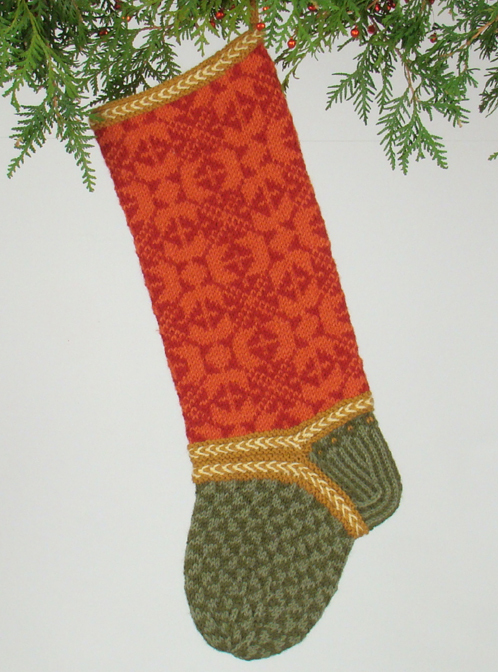 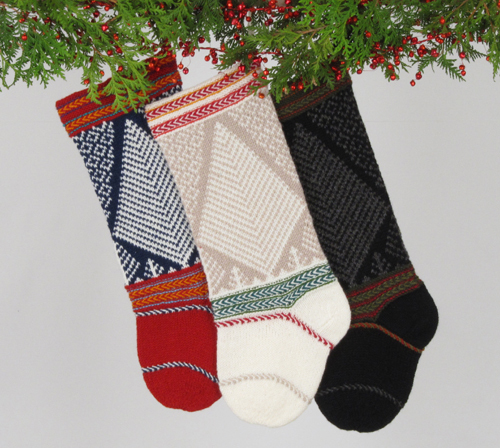 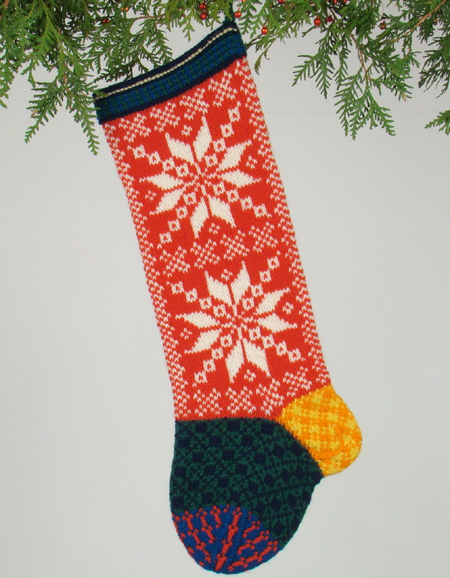 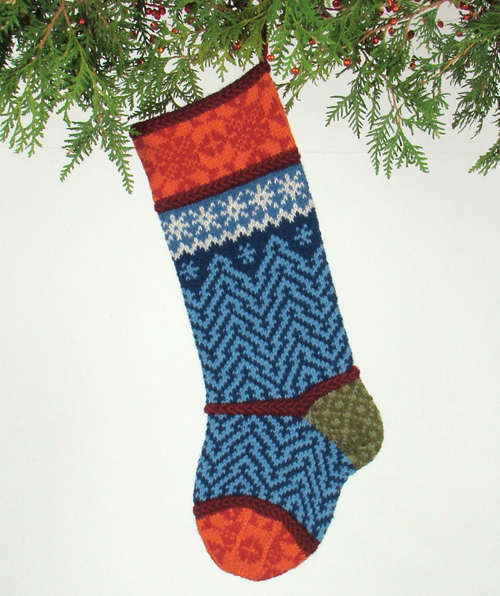 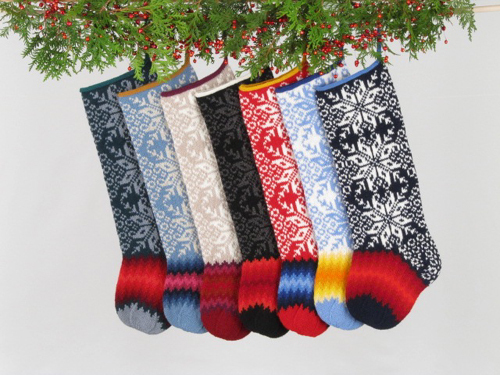 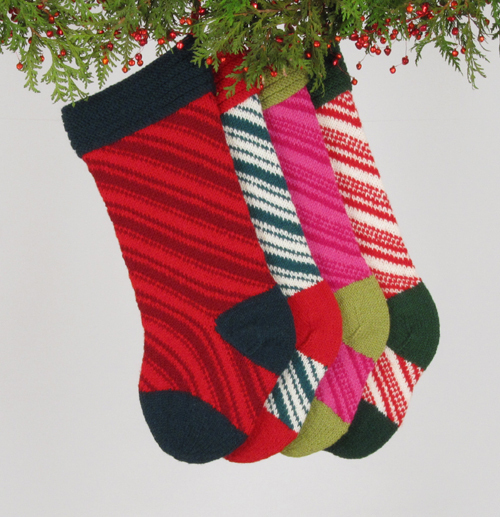 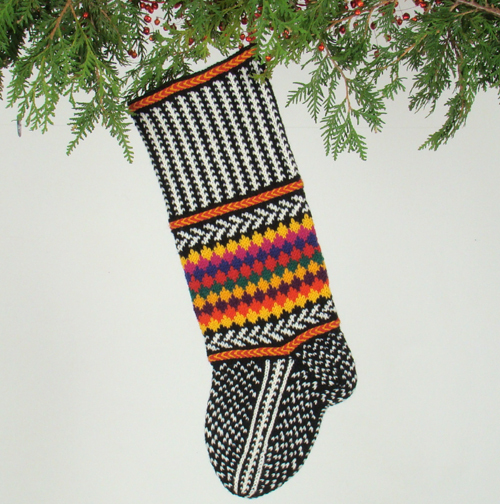 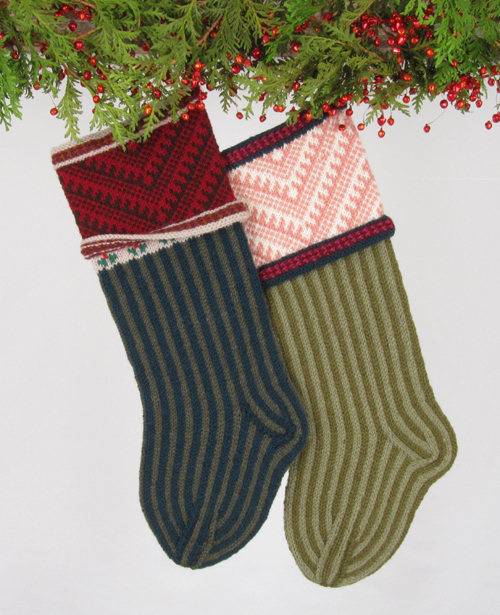 Stockings measure approximately 20”x7”, varying in size with individual designs. 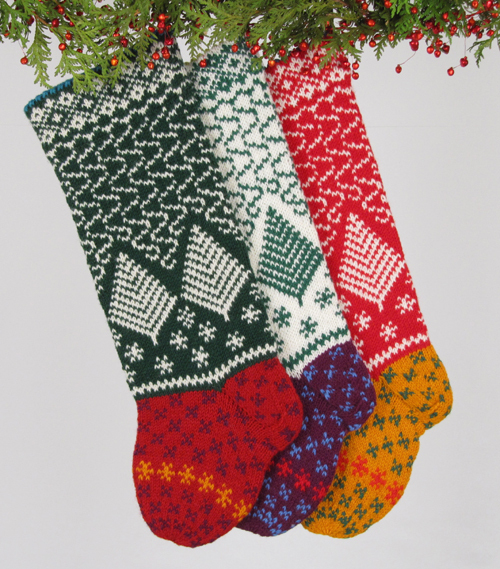 NEEDLES: Each design uses 3.5mm (US 4) needles in both 16” and 24″ circular and double pointed (or size for knitting to gauge). 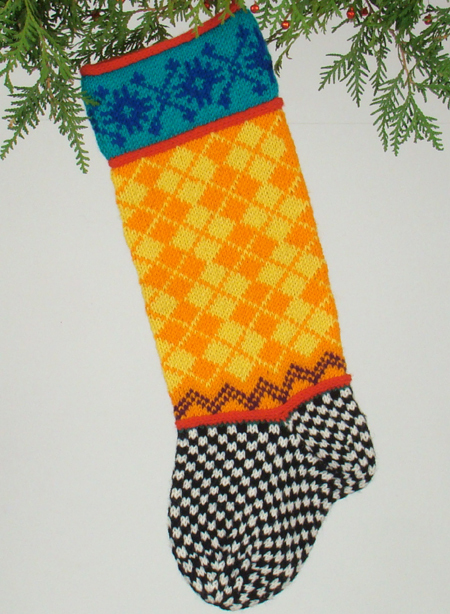 If additional needles are required, they will be noted in the patterns listed below. 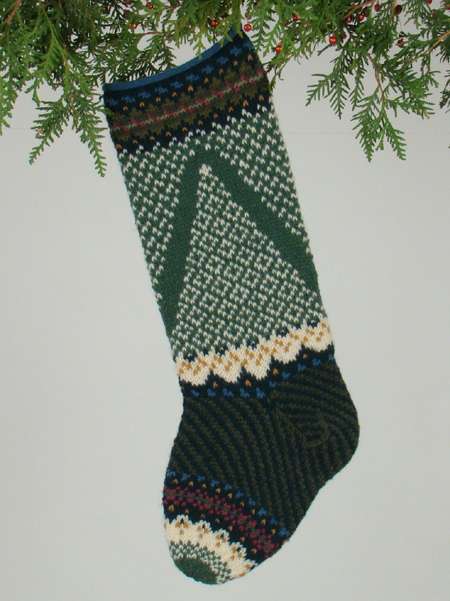 YARN: Rauma Strikkegarn (100% dk wool; 50 gram skein = 105 meters). 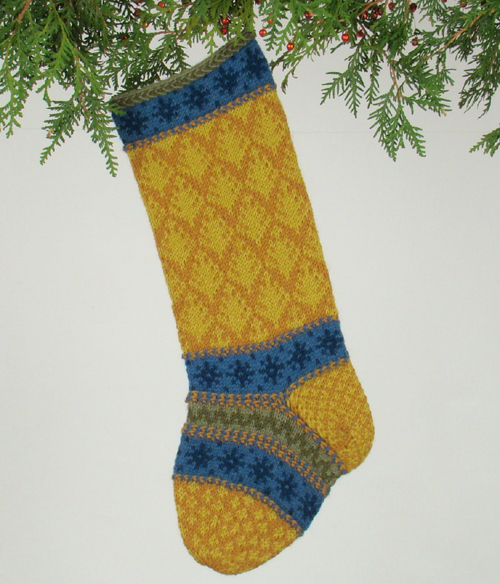 Substitute any dk weight yarn with the same gauge.